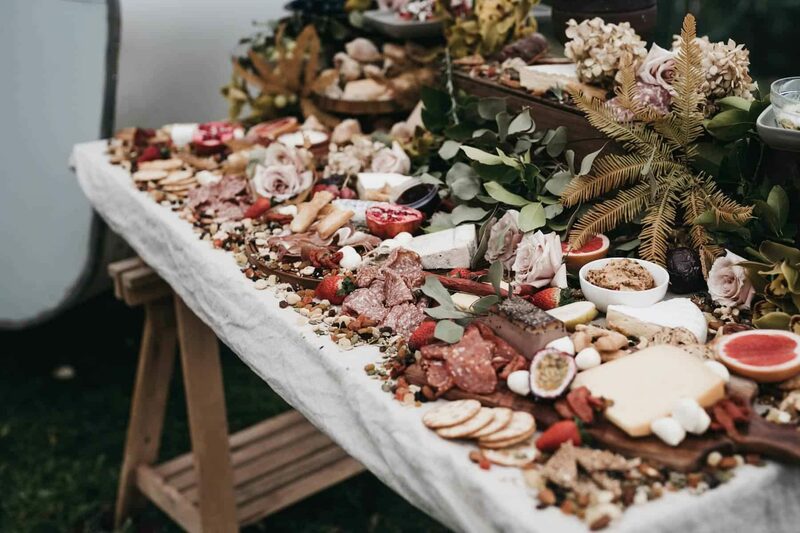 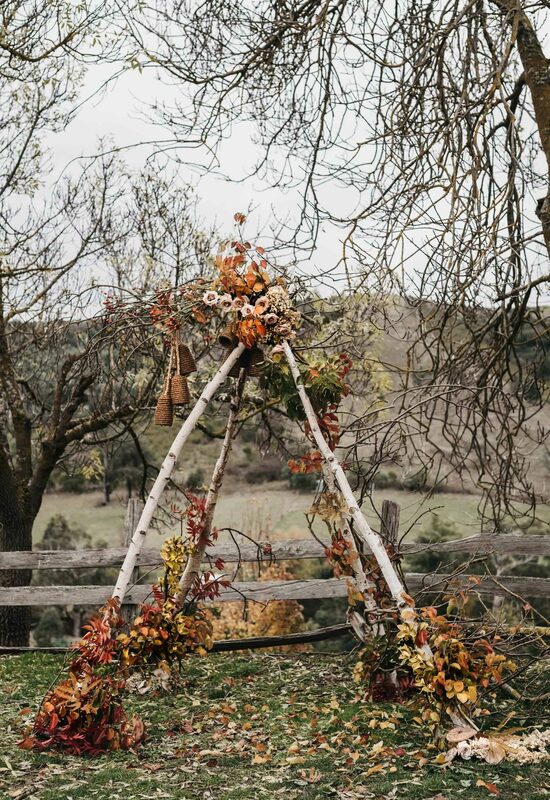 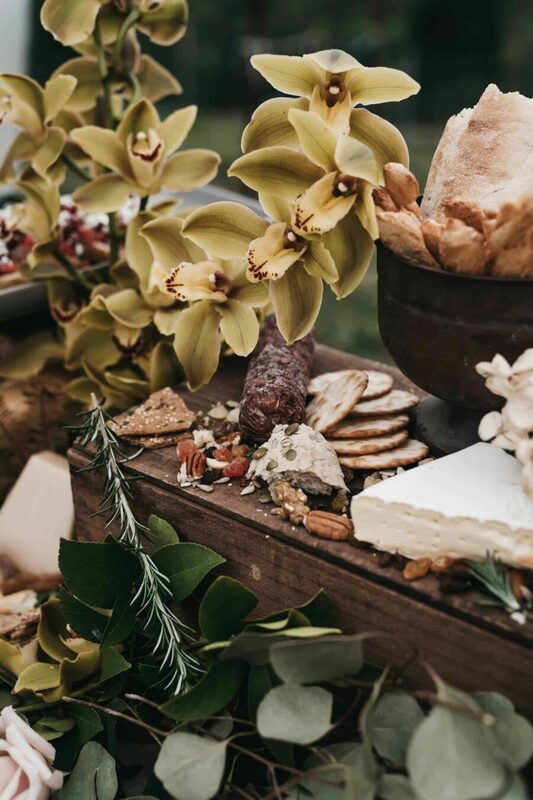 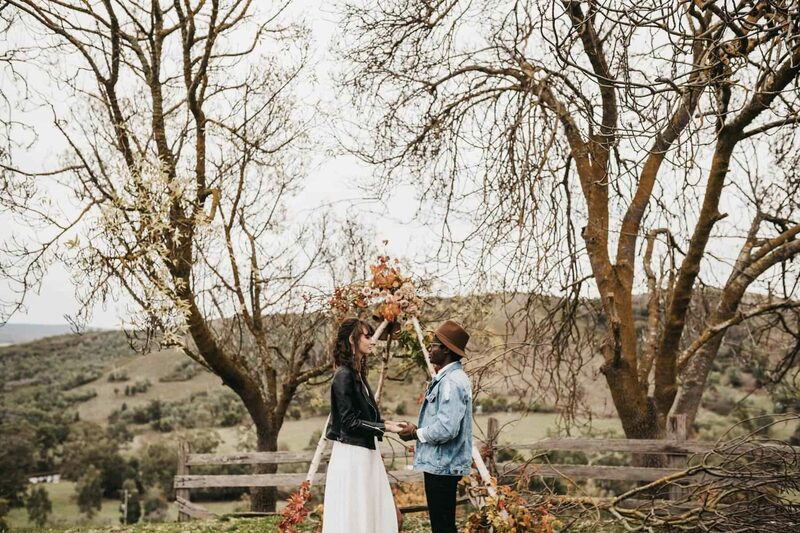 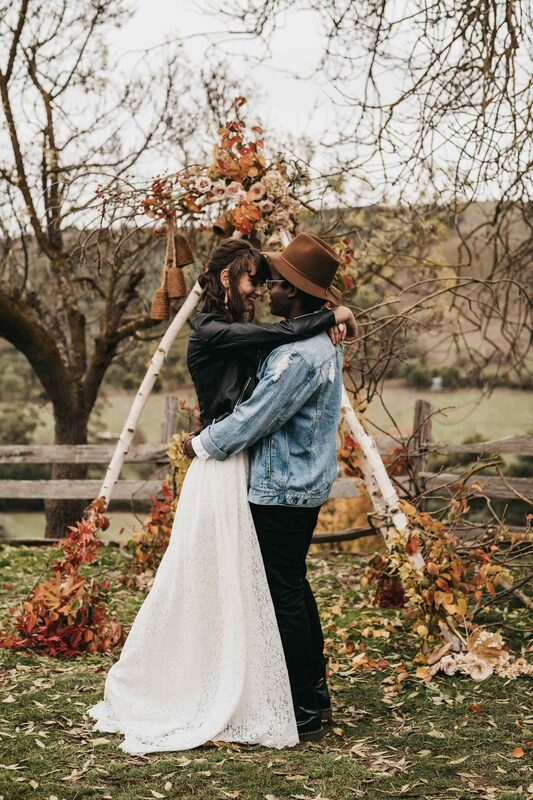 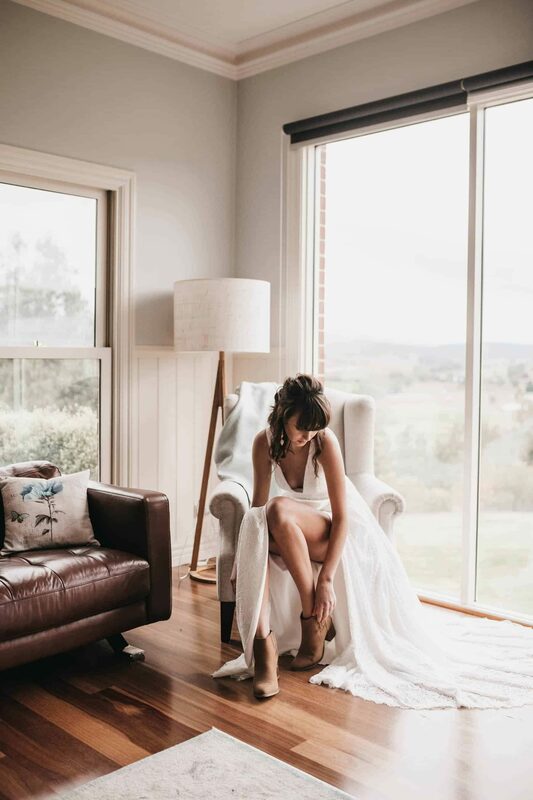 Sitting on the fringe of the Yarra Valley, Shearer’s Hill Farm provided a picture-perfect setting for this autumnal shoot, styled by Darling Don’t Panic and captured by Ashleigh Haase Photography and Once and for All. 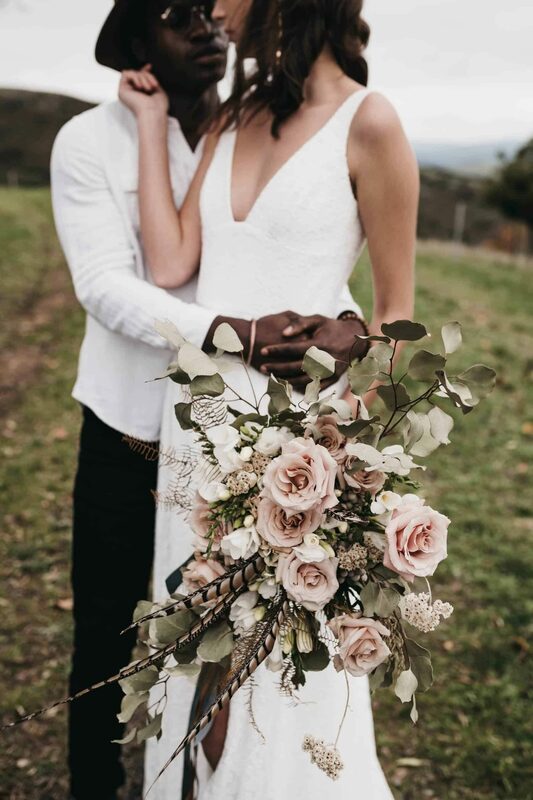 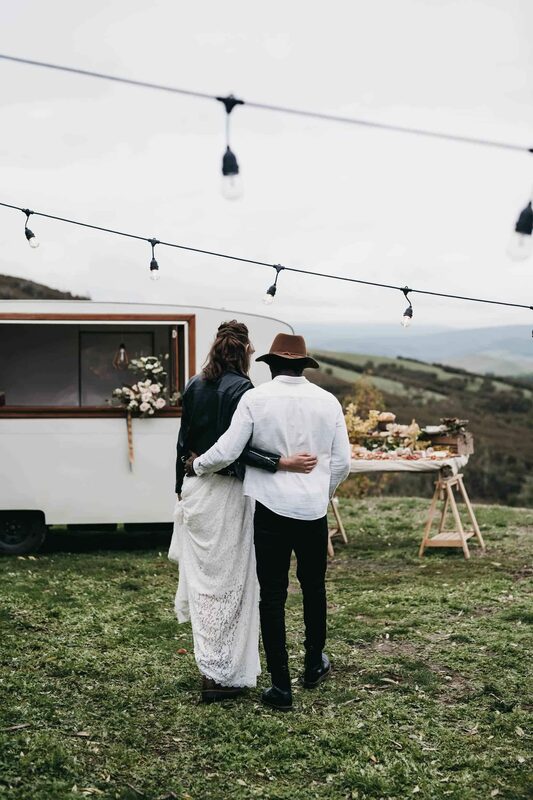 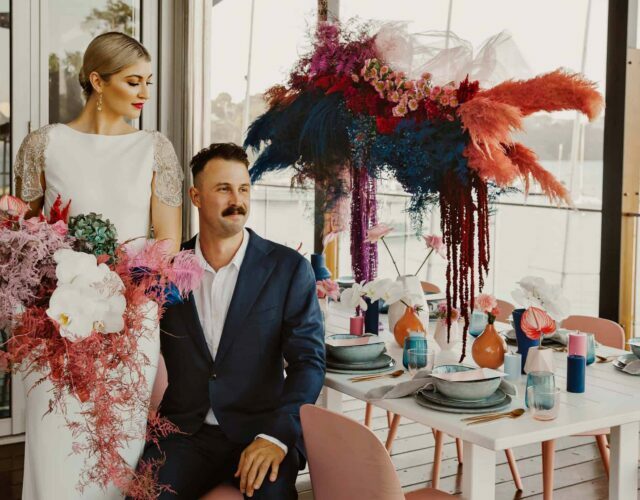 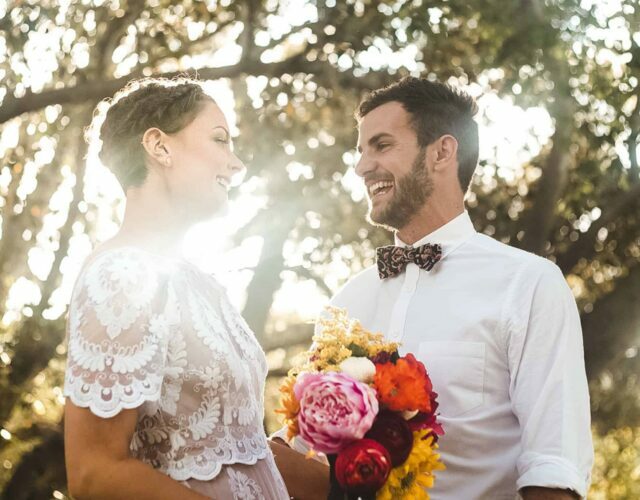 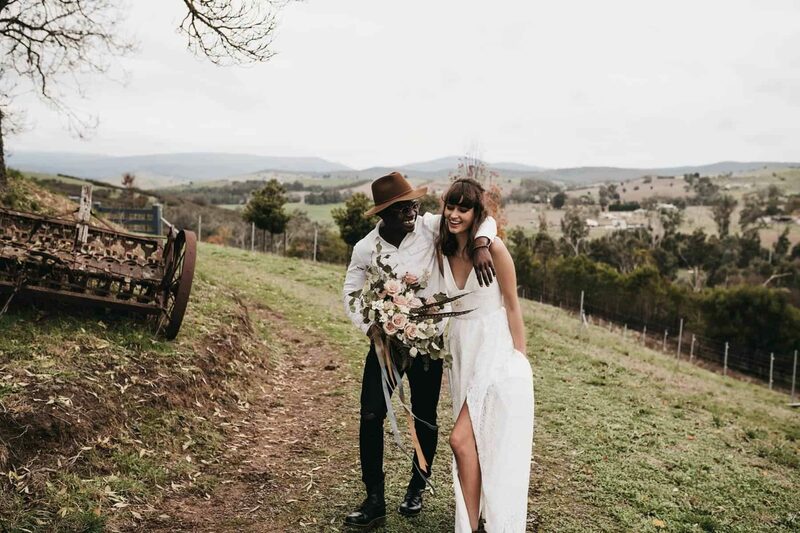 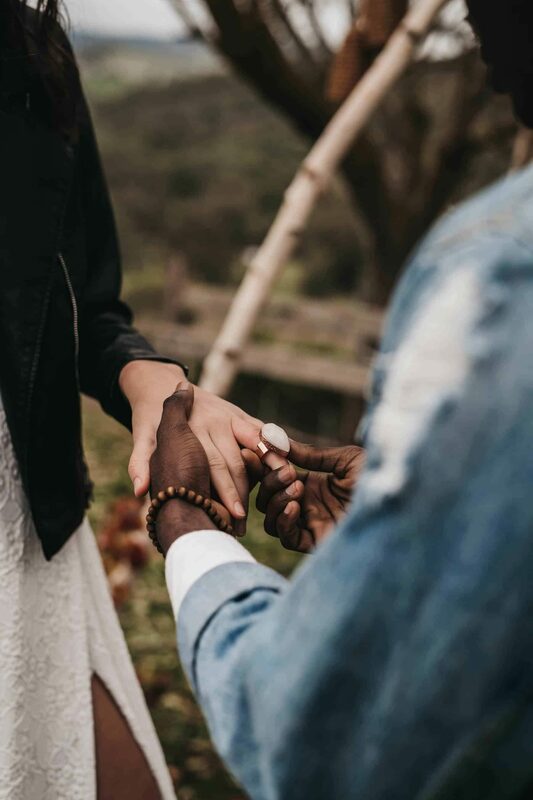 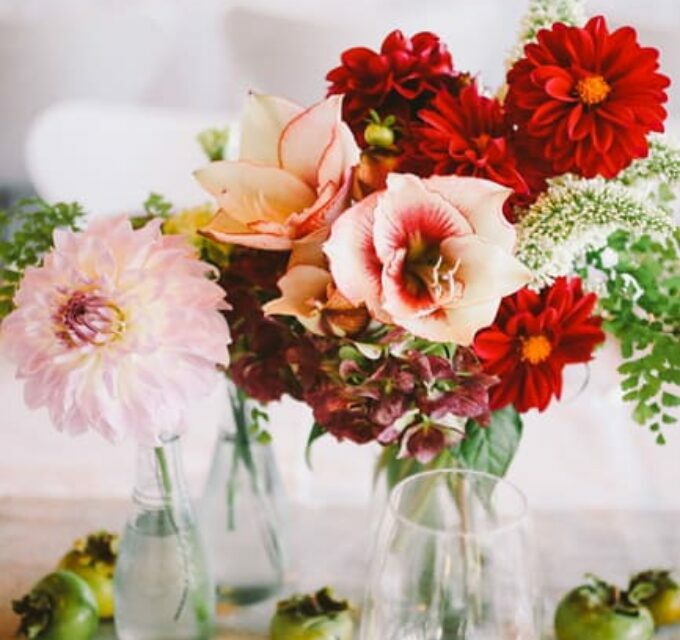 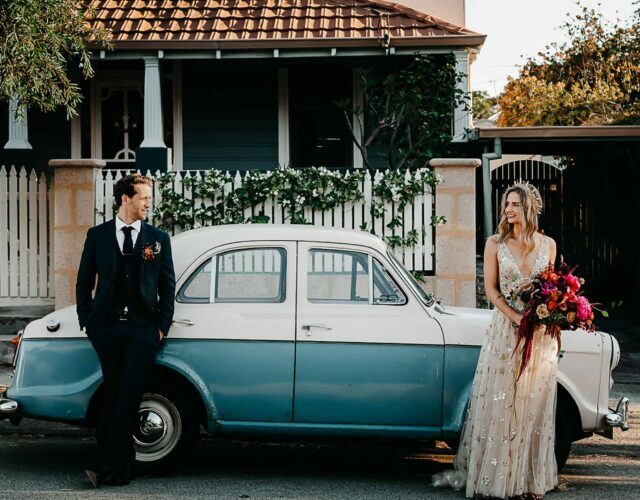 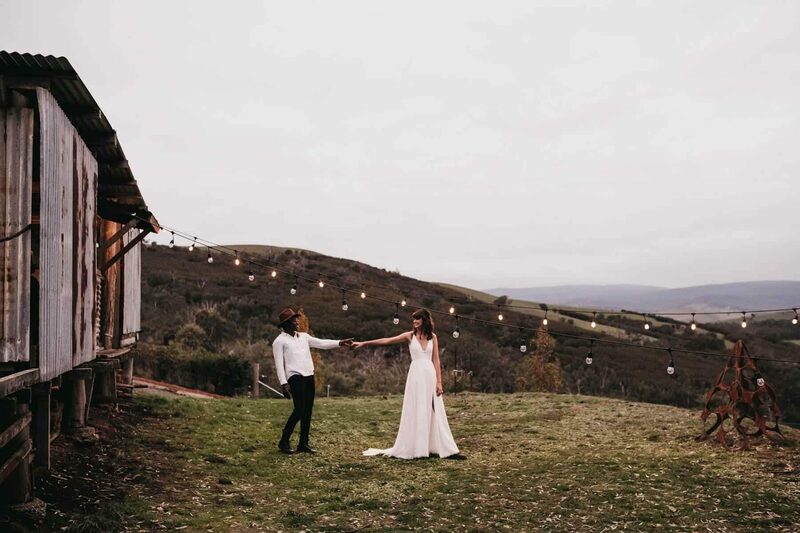 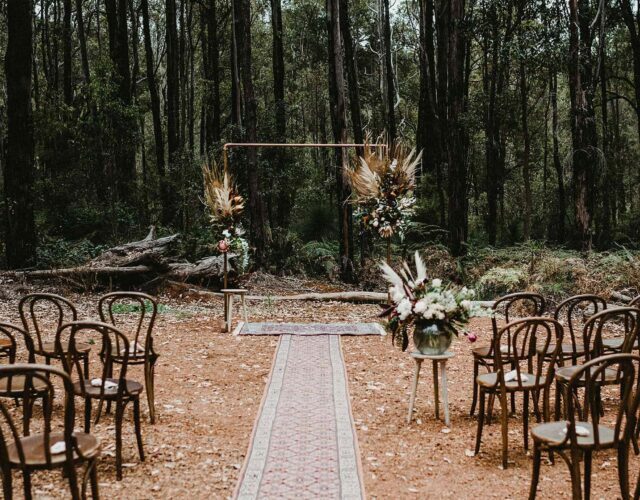 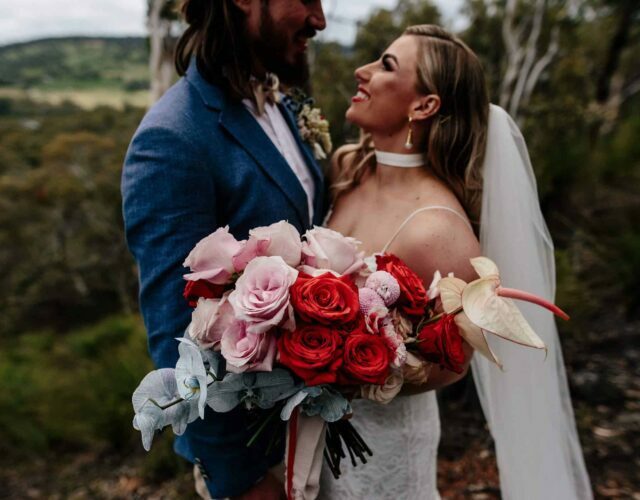 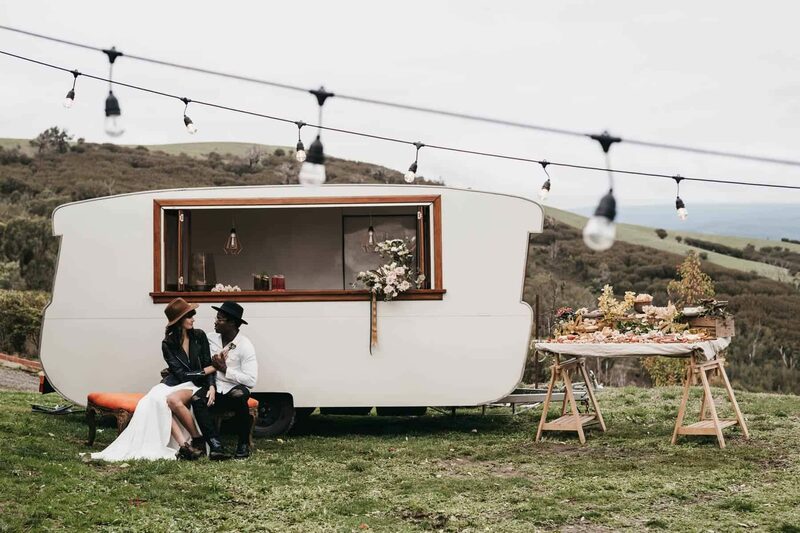 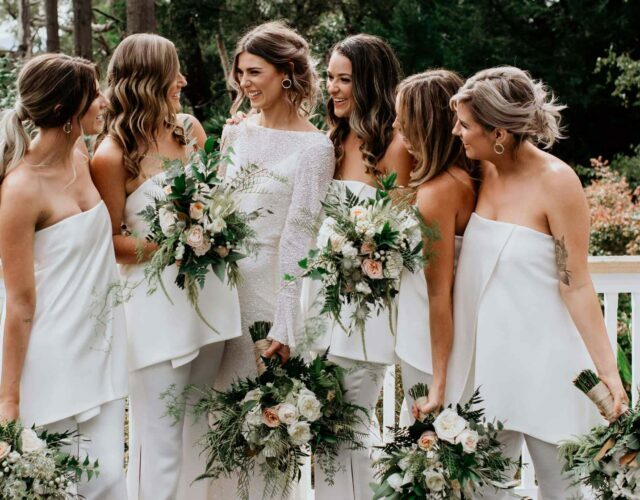 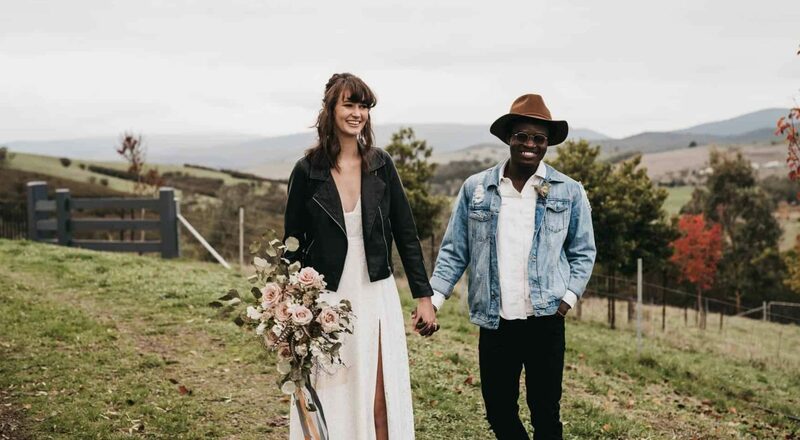 The location has everything you could want for a relaxed and informal wedding day, offering a romantic Federation style house for bridal preparations, stunning scenery of rolling green hills and a charming rustic shearing shed. 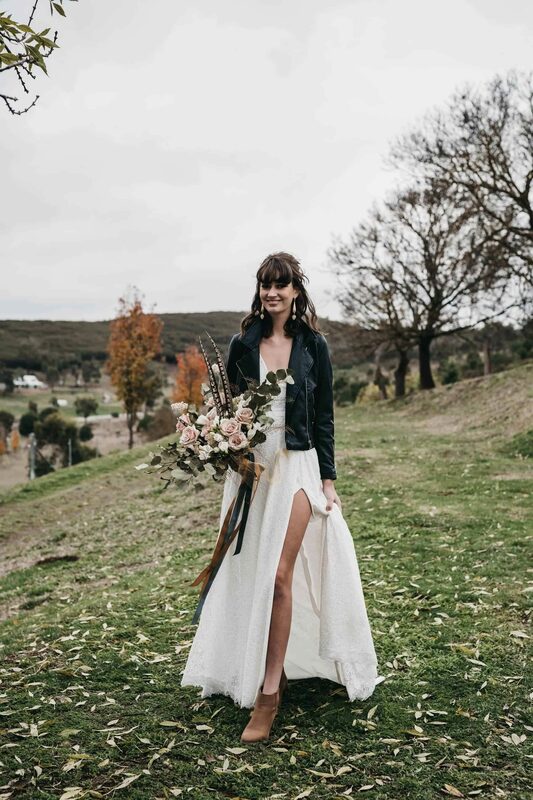 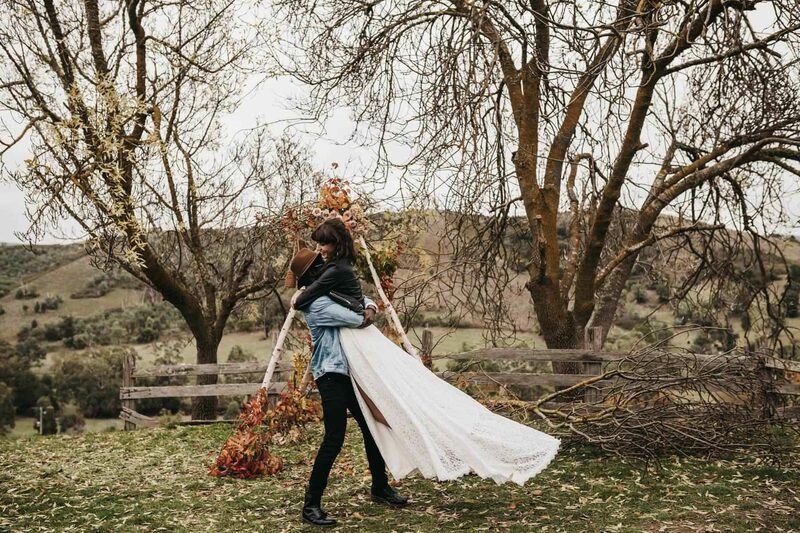 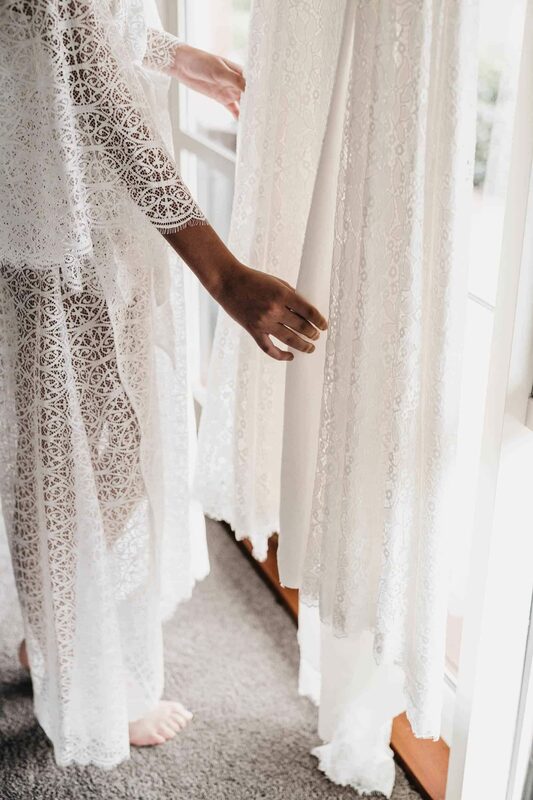 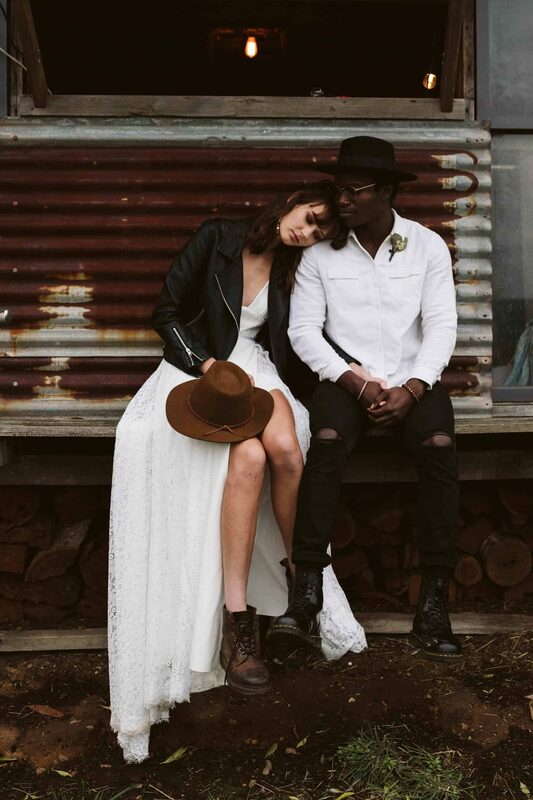 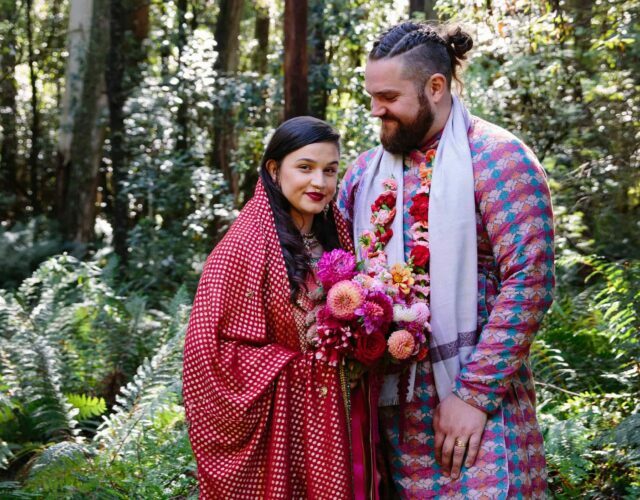 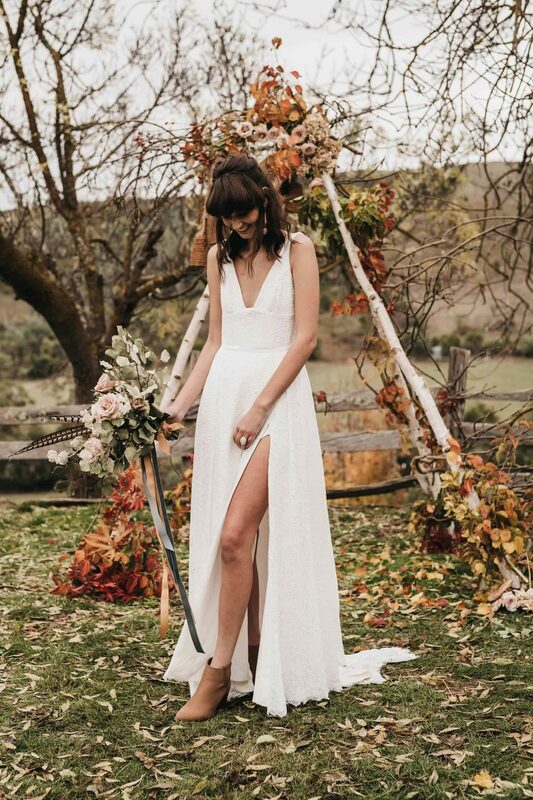 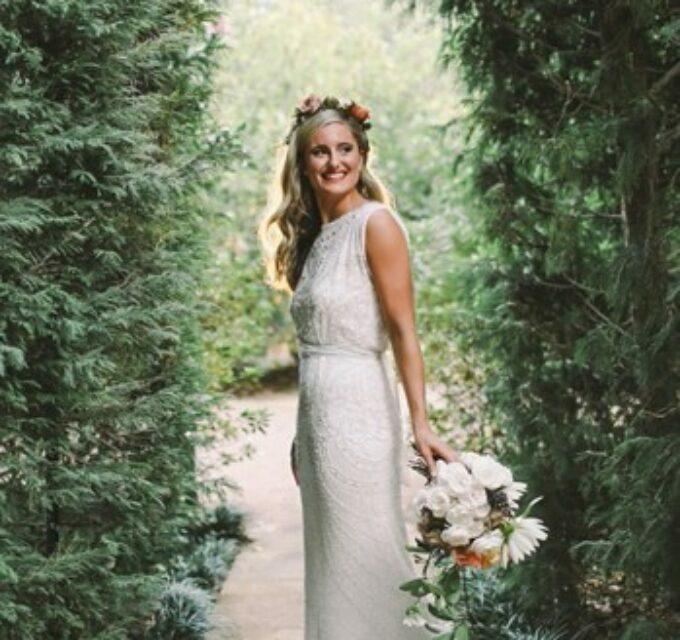 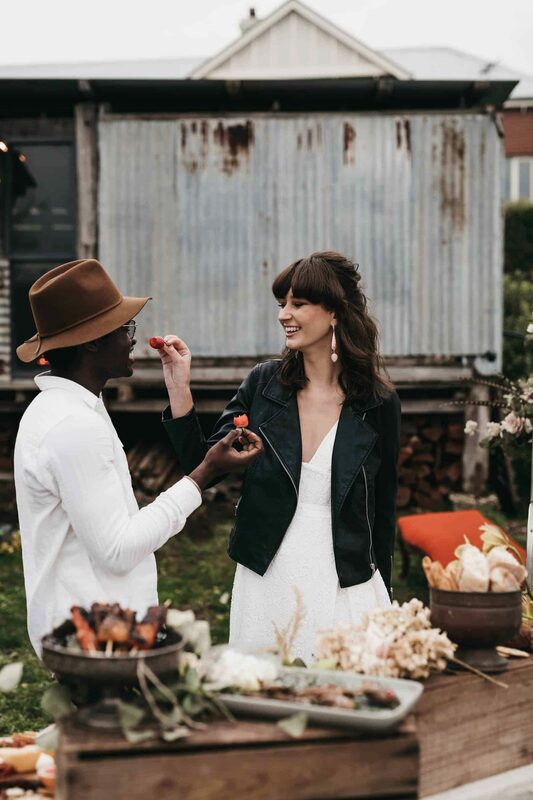 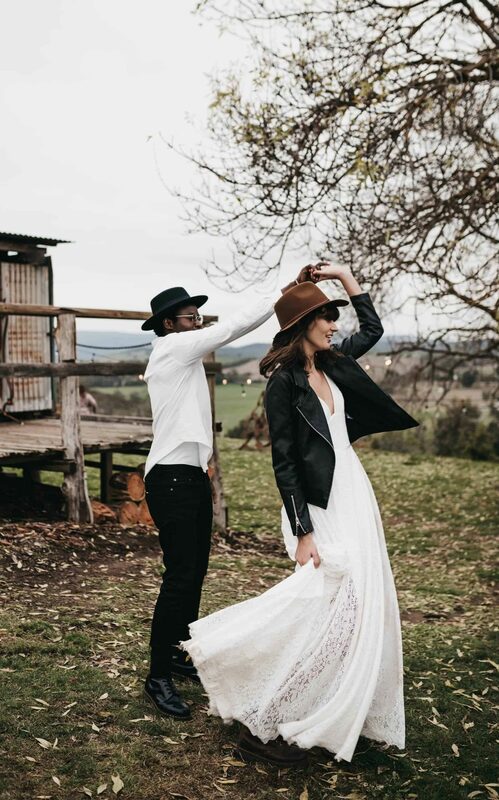 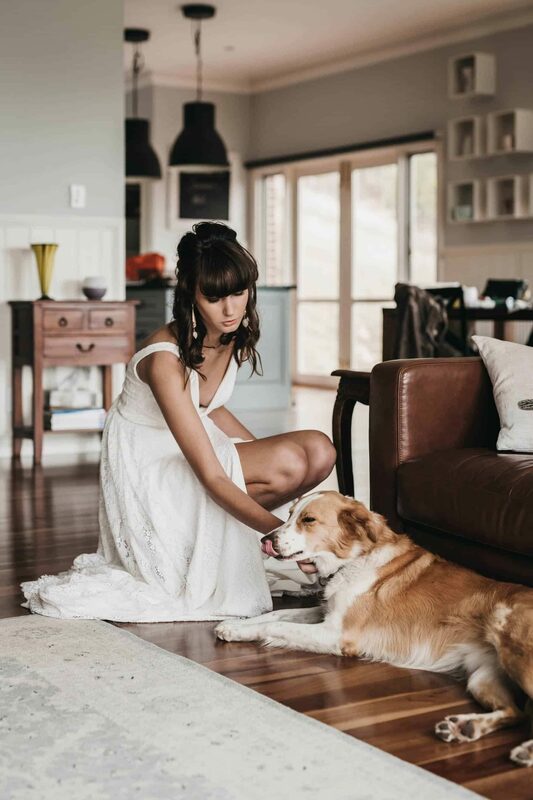 The bride prepares for the day ahead in a bohemian lace wrap gown from Cookies & Ry, before changing into a Karen Willis Holmes dress with boots and leather jacket for a free spirited look. 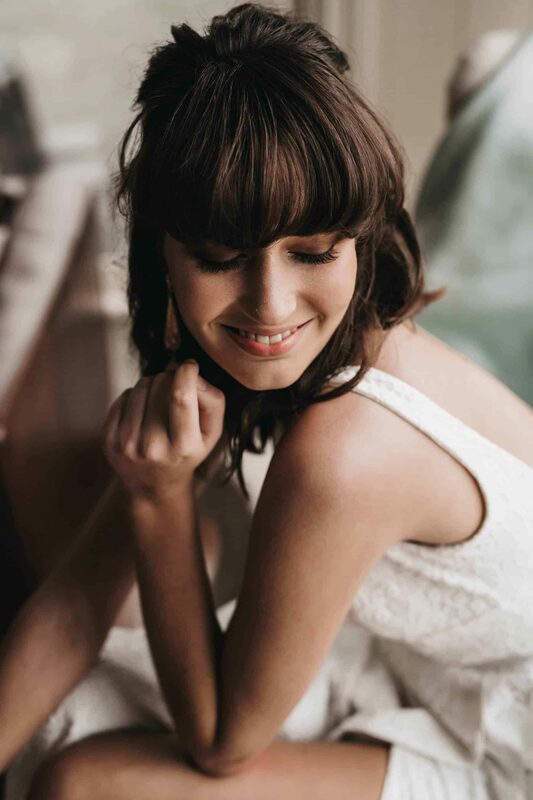 Styled by Michelle O’Connell Hair & Makeup, her look is kept natural and fuss-free. 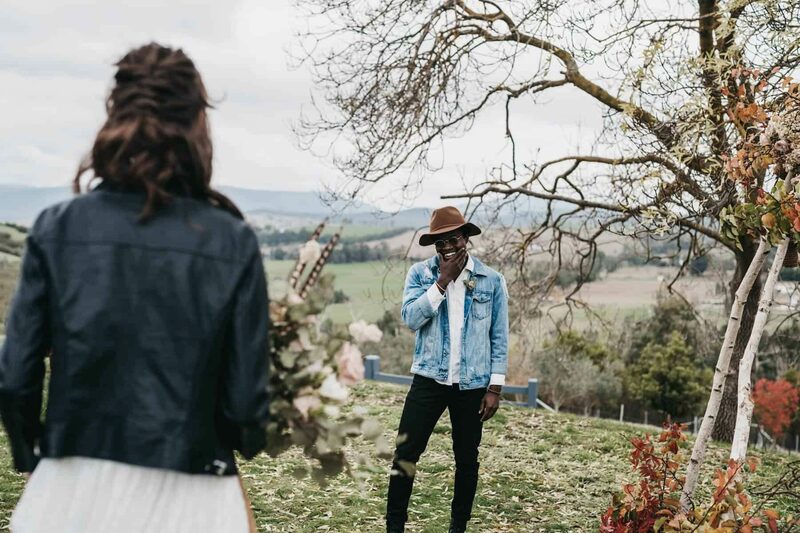 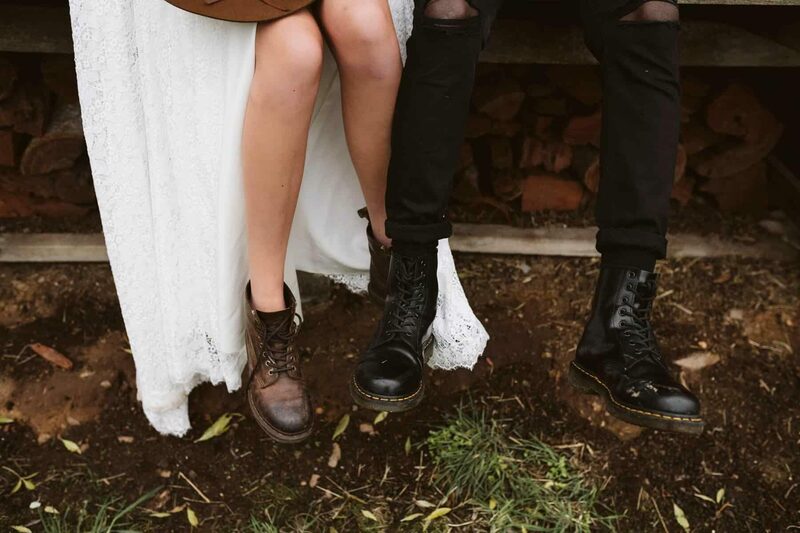 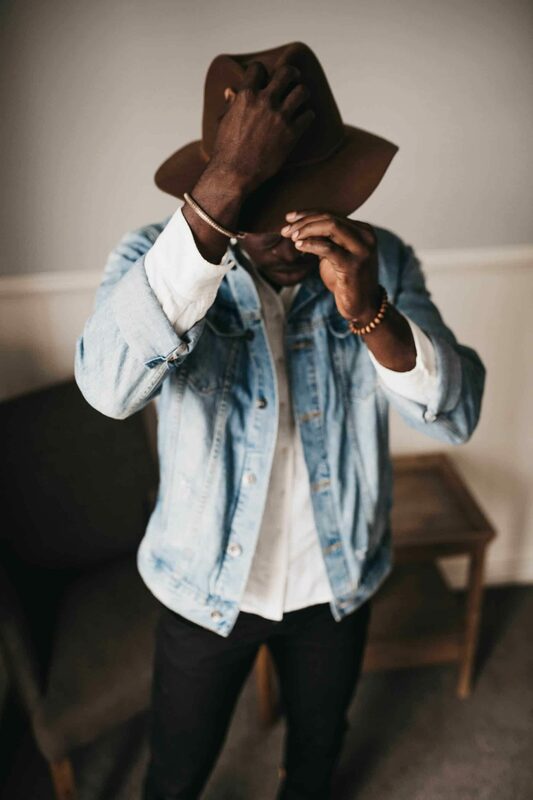 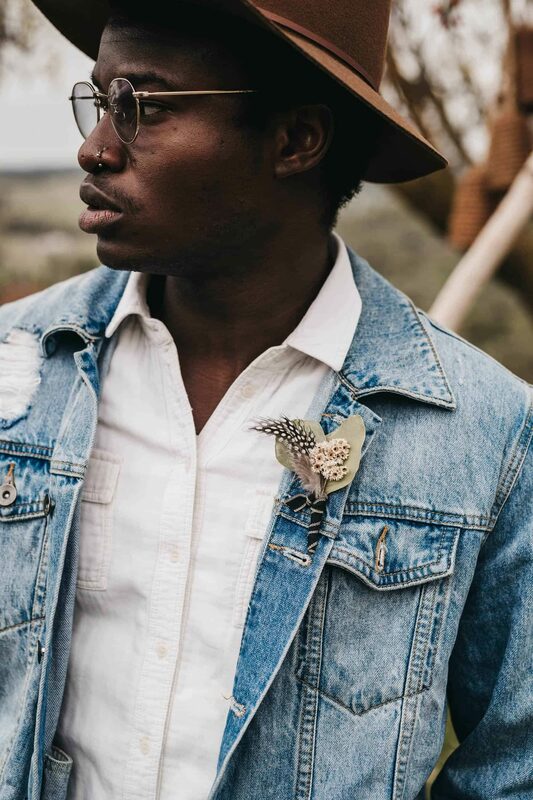 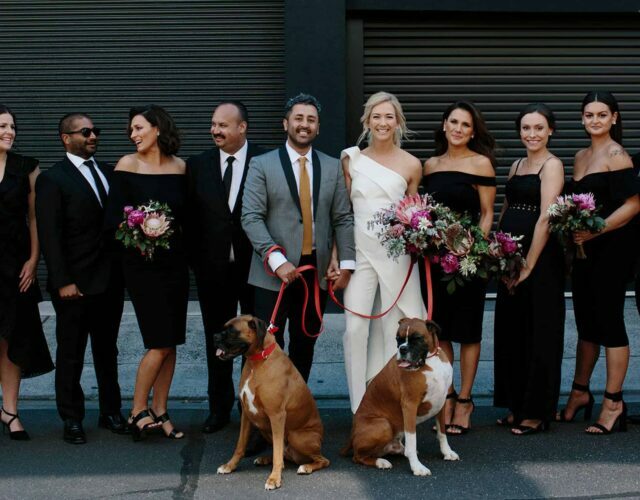 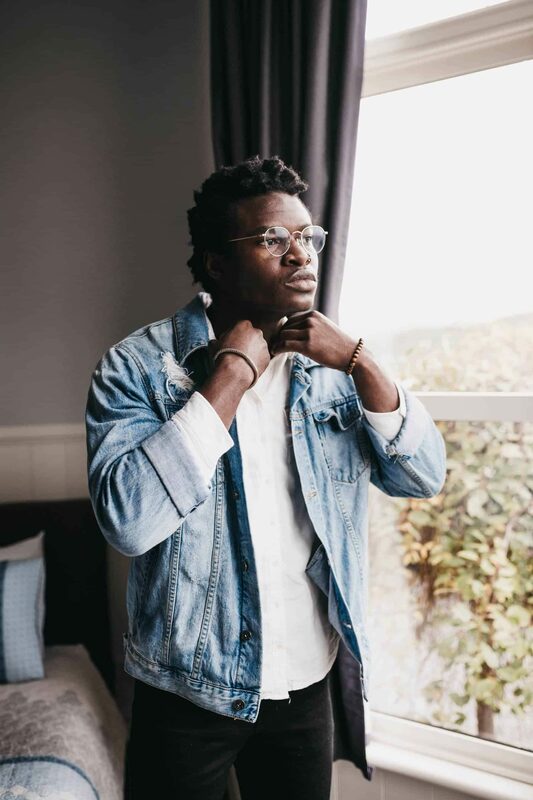 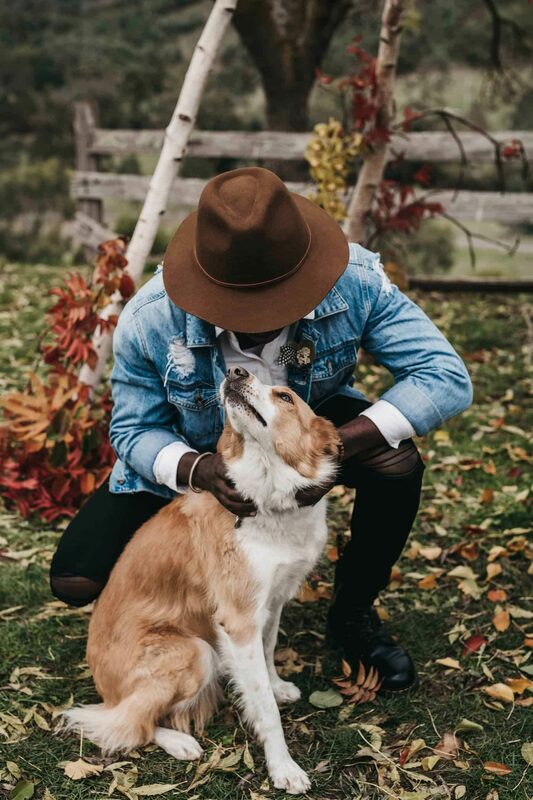 In distressed denim and a fedora, the groom is cool, calm and collected – and what’s a farm wedding without a gorgeous pooch thrown in the mix? 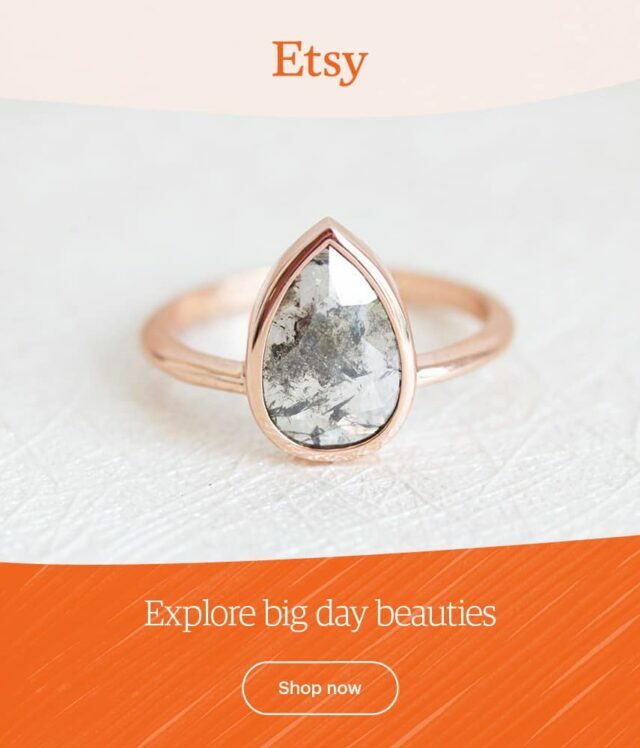 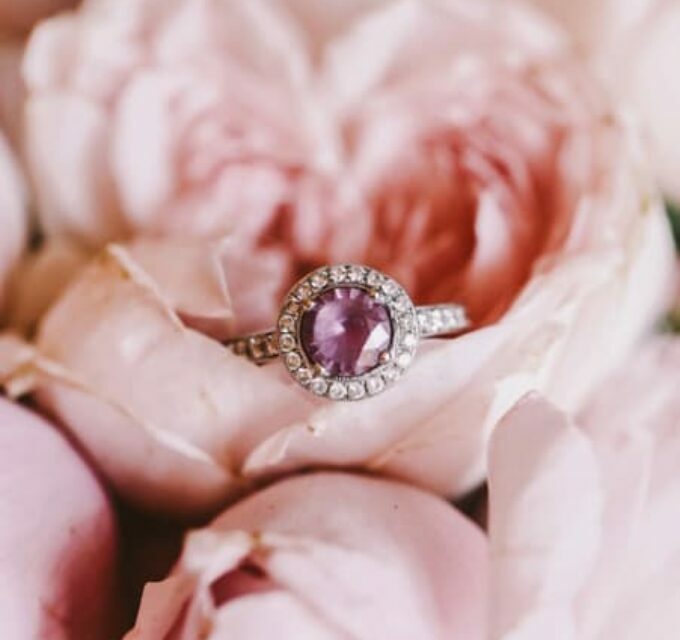 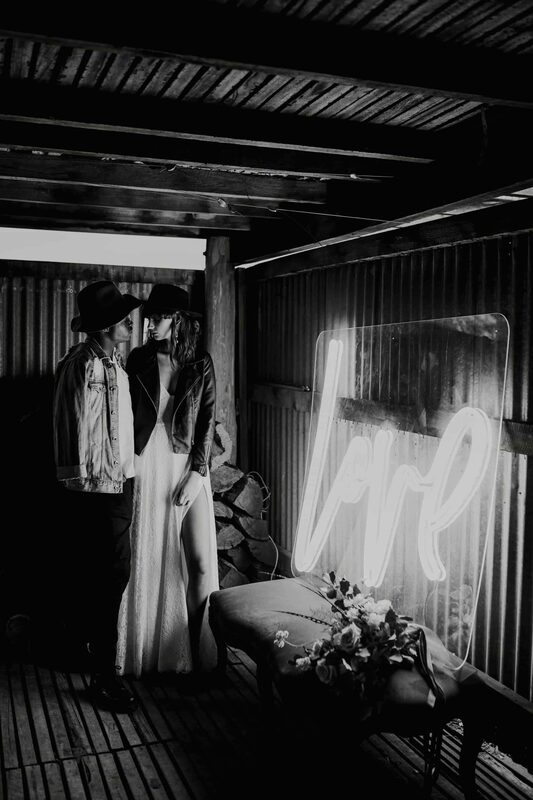 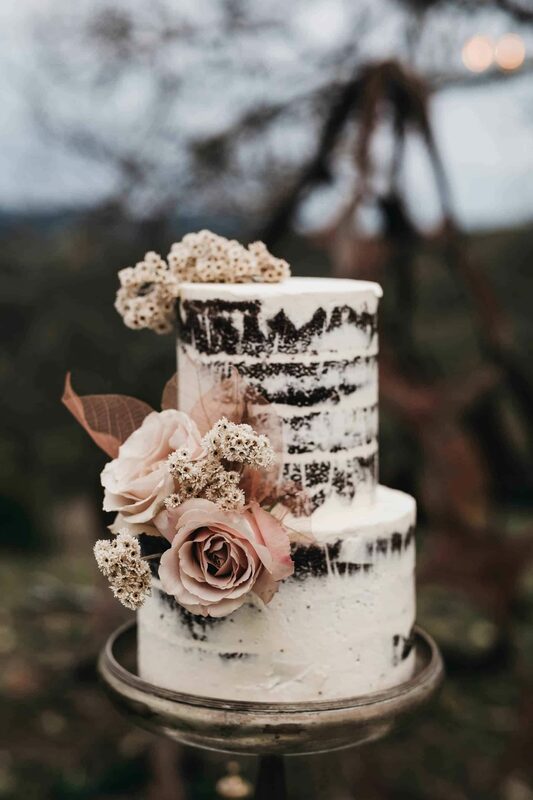 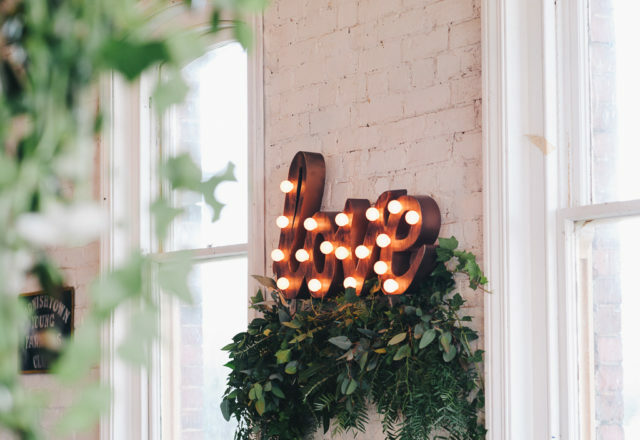 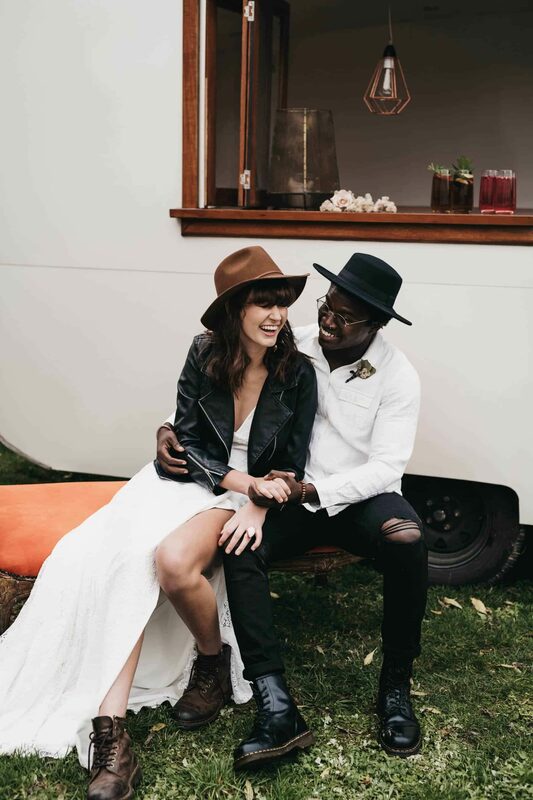 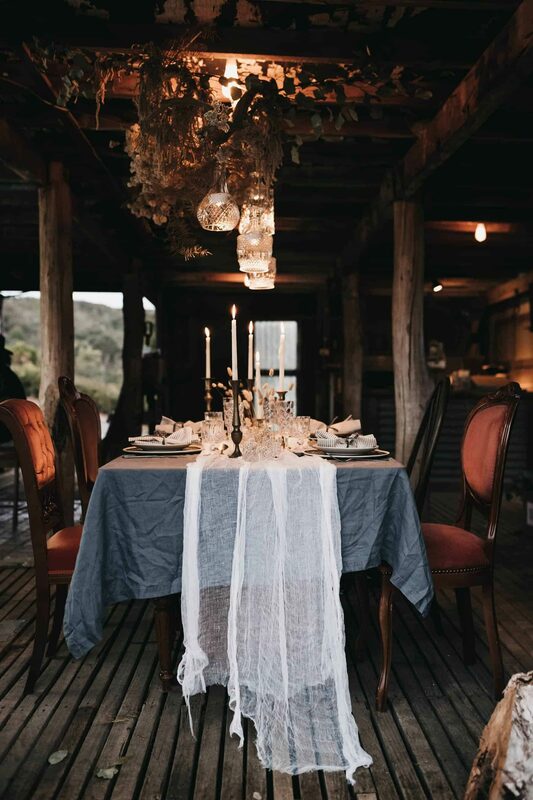 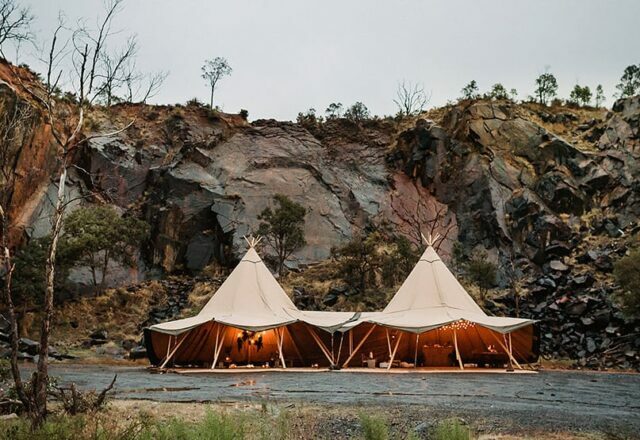 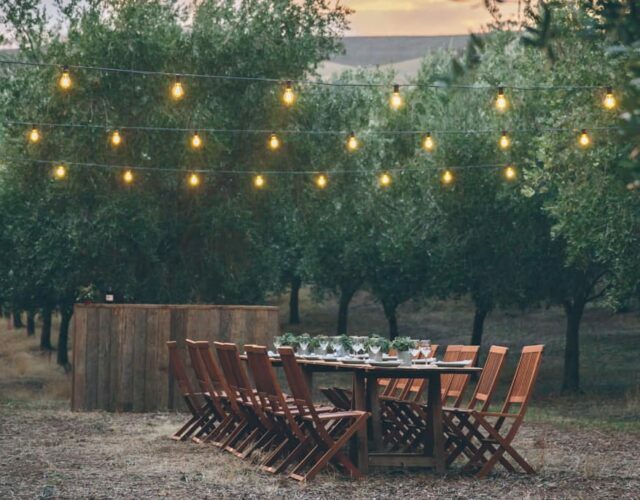 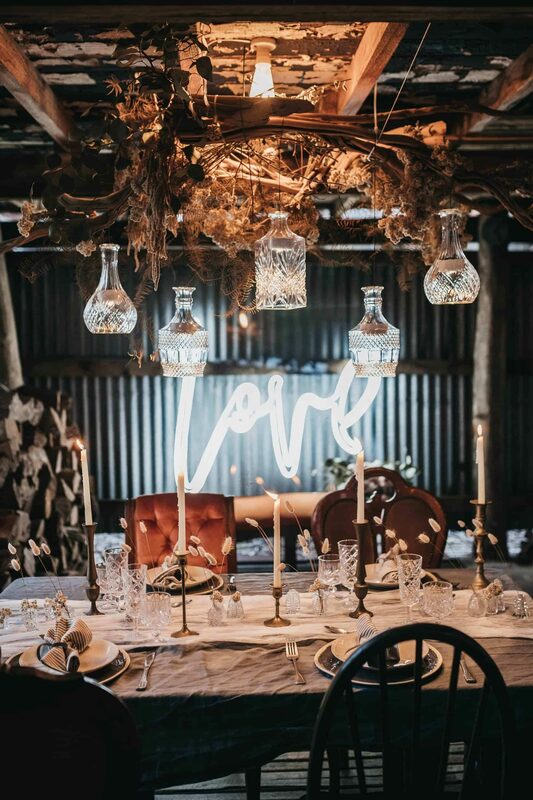 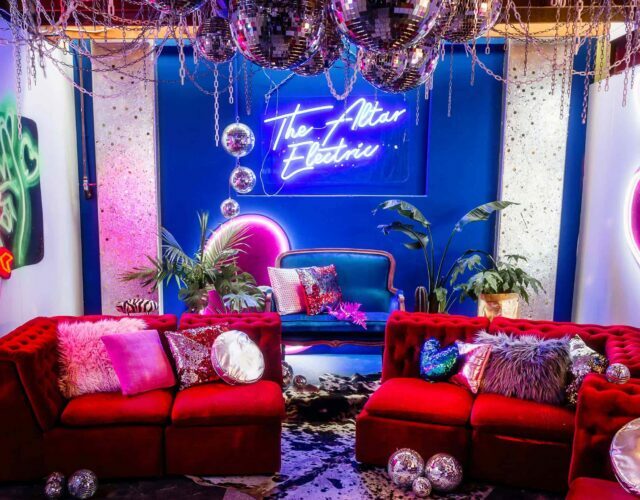 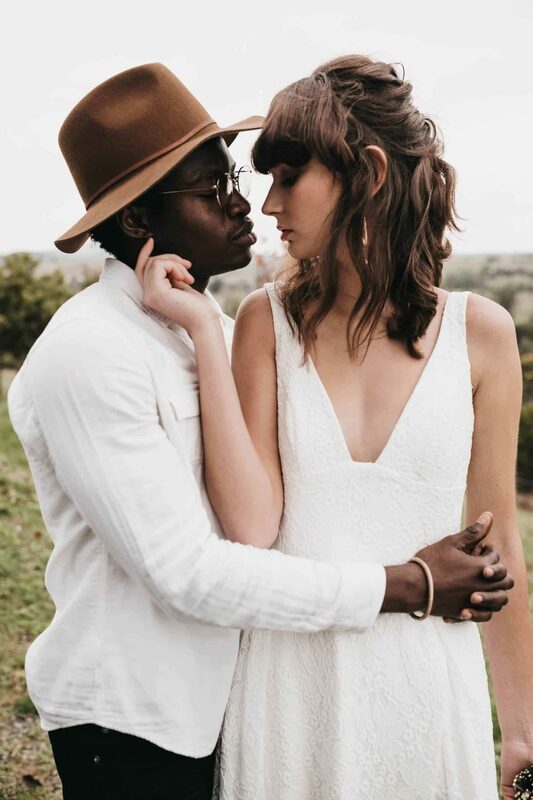 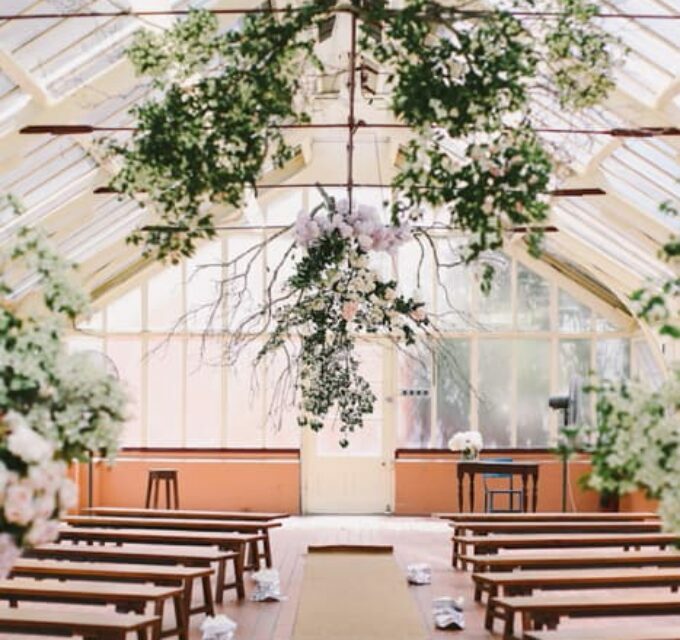 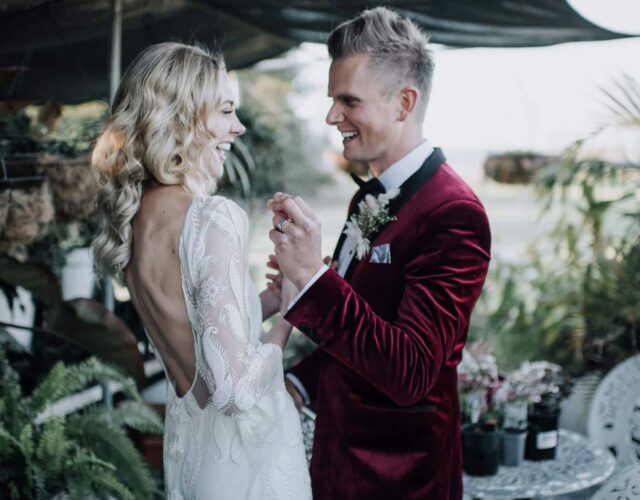 To capture the rugged beauty of this hidden gem, the team worked with cohesive contrasts of light and shade, pairing the raw setting with neon signage, delicate linens and glamorous vintage touches sourced from Darling Don’t Panic’s own collection as well as hire pieces from Good Day Rentals. 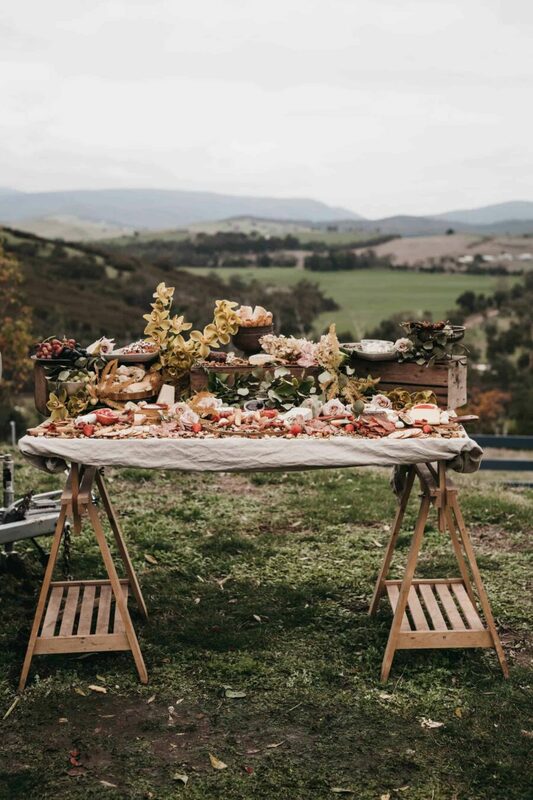 A vintage bar and grazing table by The Innocent Owl create a cosy, laid-back post-ceremony celebration. 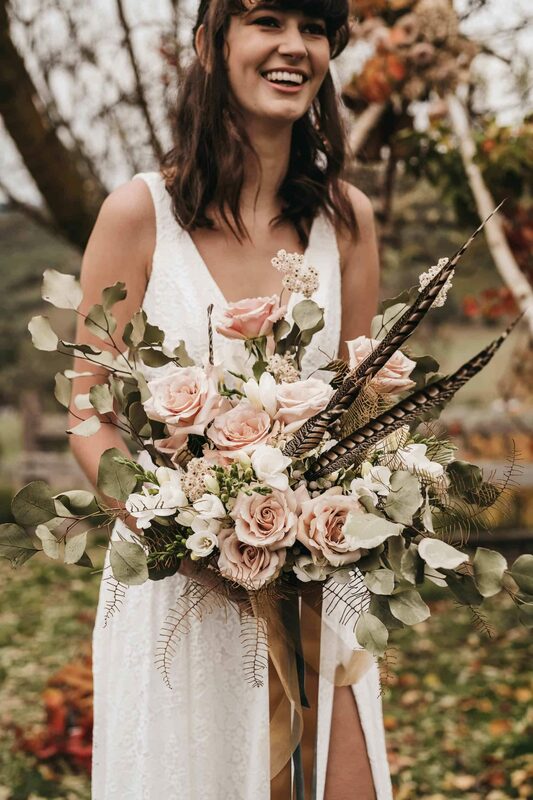 Sassafrass Flower Design created botanical elements including a wild bouquet of dried and preserved foliage, flowers and feathers together with fresh quicksand roses. 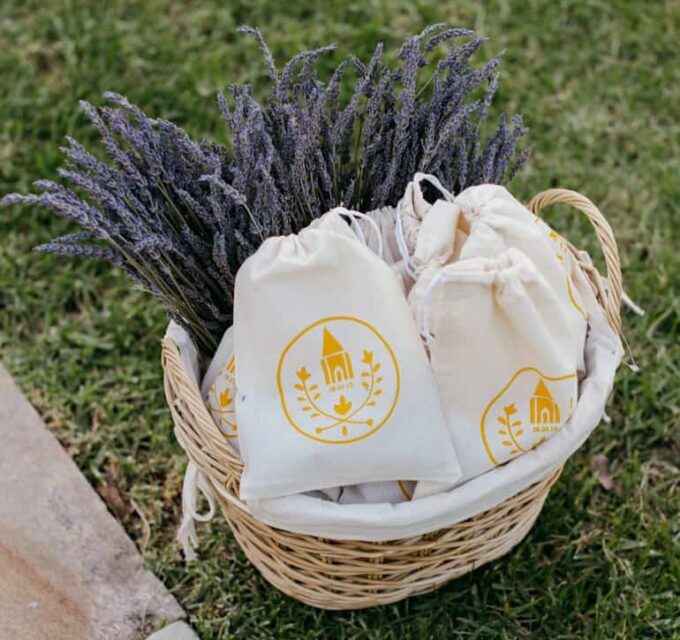 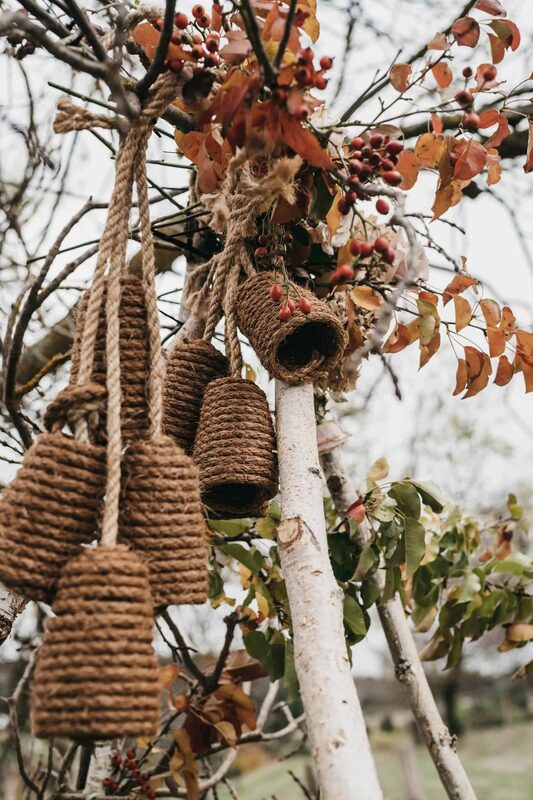 The arbor featured handmade rope skeps as a nod to the farm location, as well as autumn foliage foraged onsite. 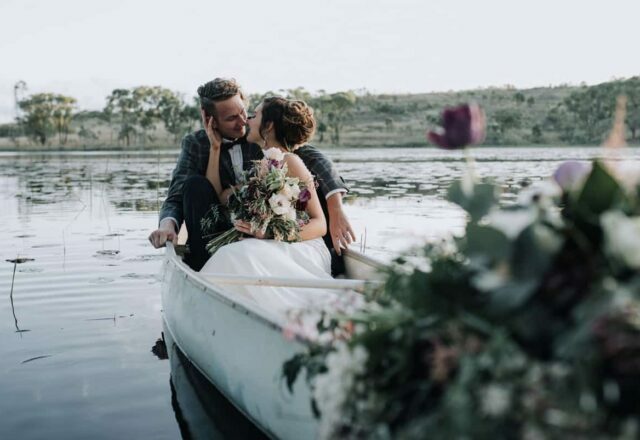 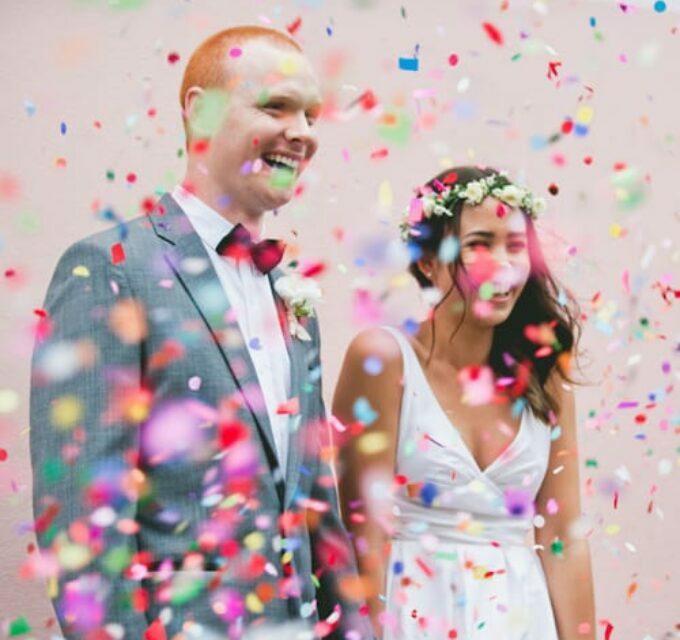 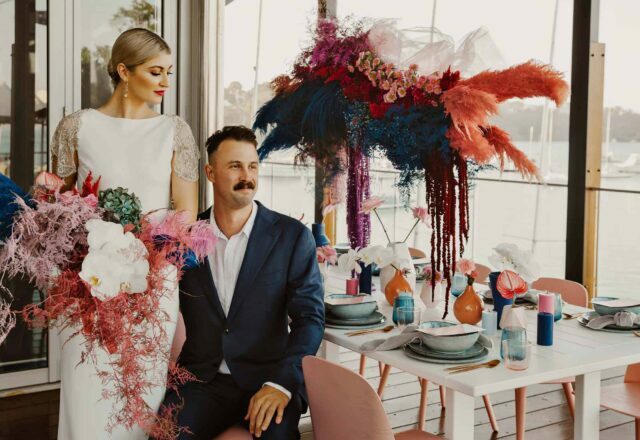 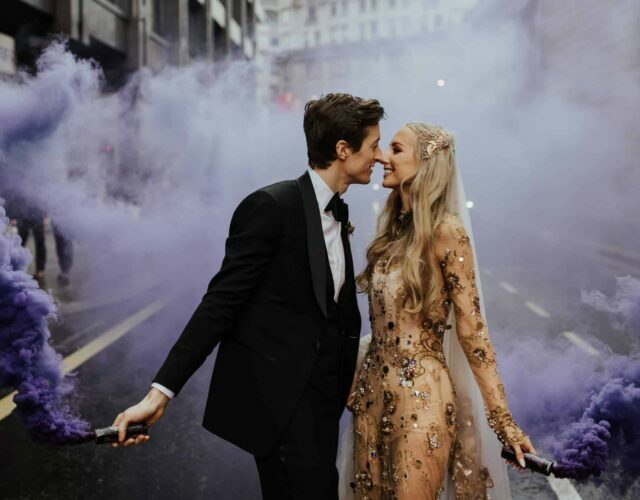 Photographer Ashleigh Haase says they took a relaxed, informal approach to the coverage of the day, with the aim of showing brides and grooms how to break away from tradition on their wedding day and have a unique day, specific to what they want.